Dan Bertolet, senior researcher, researches, writes about, and speaks about housing and urbanism. He has a background in urban planning and electrical engineering, and his passion is to help create cities that will thrive amidst the challenges of the 21st century. Find his full bio here. Email: dan [at] sightline [dot] org. Twitter: @DanBertolet. California’s successful ADU reform offers a lesson for Washington on balancing local and state control of land use. 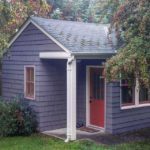 The city legalized backyard cottages and relaxed key restrictions on granny flats. Cities thwart accessory dwellings with rules that stubbornly resist reform at the local level. When cities waive charges, homeowners jump to build in-law suites and backyard cottages. Legislative agenda provides a chance at more homes, more funding for affordable homes, and more tenant protections. Proposed bill would rein in potential lawsuits and bring more home ownership options to communities throughout the state. More homes of all shapes and sizes is a critical part of the path to tackling our concurrent affordability and climate crises. Plan also includes taller apartment buildings near transit and a historic abolition on all off-street parking quotas.